It has to be said that to have a middle ground in music there has to be an edge to define the centre. Much electronic music-making sits firmly at that edge but without these esoteric composers and performers there would be no techno, no incidental film music and many other innovations that are now commonplace in the armoury of the modern studio recording artist. The night’s performance was comprised of two very differing pieces, both about twenty-five to thirty minutes in length. The first piece was far more strident and rhythmic with Rozanoff accompanied by Dave Stockard on various percussion effects. 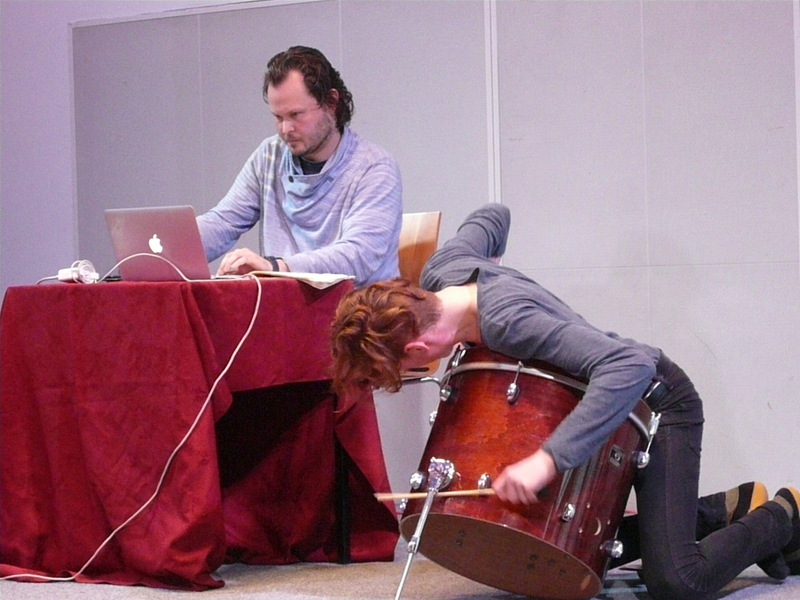 The percussionist lent a sense of theatre to proceedings as, quite frankly, watching someone create a sonic pallette sitting at an Apple Macbook isn’t exactly riveting stuff. Gone are the days of studious chaps with horn-rimmed glasses, beards and woolly jumpers sitting in front of banks of oscillators and giant tangles of wires- everything can be done on your laptop. The second piece was more reflective and much of the musical narrative was made up of guitar samples provided by experimental French guitarist and collaborator Olivier Jambois. Both pieces had a discernible atmosphere of their own, and, to my mind, were pretty successful in achieving their aims as logical progressions of tension and ebb and flow. Mention has to be made of the City Halls Recital Rooms which were a perfect setting for the performance and well done Sound Lab for giving electronica a platform.